You have to buy this! I don’t usually start my reviews with that blunt, bottom line, but stylistic rules be damned. Kalemat from the company Arabian Oud is a gorgeous amber in a rich, heady, potent, incredibly long-lasting brew that is both affordable and utterly addictive. From its start as a molten river of caramelized amber creme brulée, Kalemat turns into a heady cloud that encompasses every nuance and range on the amber spectrum: a floral amber, a slightly fruity one, a woody one, a herbal one, a musky one, a sweetly honeyed one, and a lightly pipe tobacco and oud one. It’s beautiful, I bought it for myself, and the mere scent of it on my skin led a family member to purchase a bottle moments later! There are a few practical draw-backs to the Arabian Oud system, and you basically have to order blindly, but we’ll get to those issues at the very end of this review. The thing you need to know is that Kalemat is absolutely gorgeous, and if you love opulent amber Orientals, you really should consider it. Having started with the end of the story first, let’s go back to the beginning. Kalemat (sometimes written as Kalamet and a few other linguistic variations) is an eau de parfum from the Saudi perfume house of Arabian Oud. I’d heard a lot about the fragrance from such perfume sites as Basenotes where it is a small cult favorite, so I couldn’t resist popping into Arabian Oud‘s Paris Champs-Elysées store upon my recent trip. I’ll talk more about that store and their bewildering array of options at the end, but all you need to know now is that Kalemat was actually the third or fourth on my list of favorites. 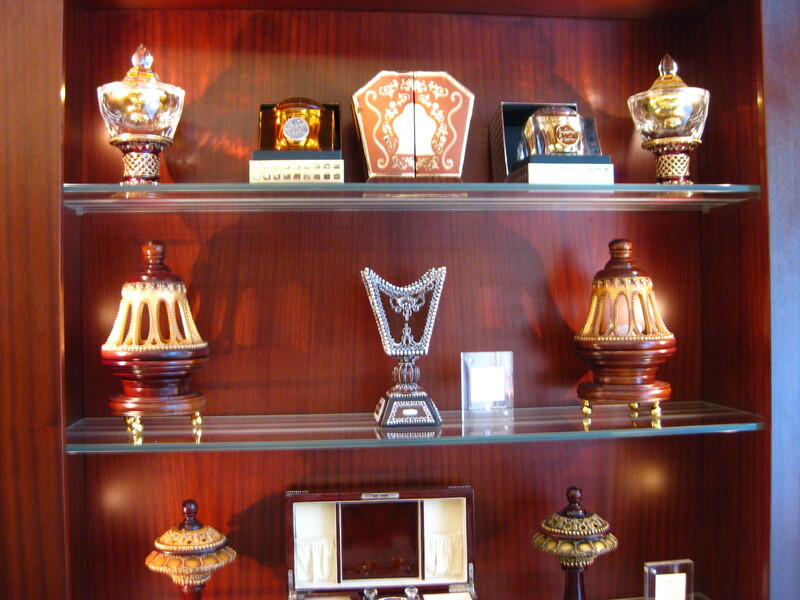 I think that tells you something about the other three, as well as the quality of this perfume house as a whole. One downside to the brand is that it is an organisational nightmare in terms of all practical considerations as an uninformed shopper or curious, prospective perfumista. 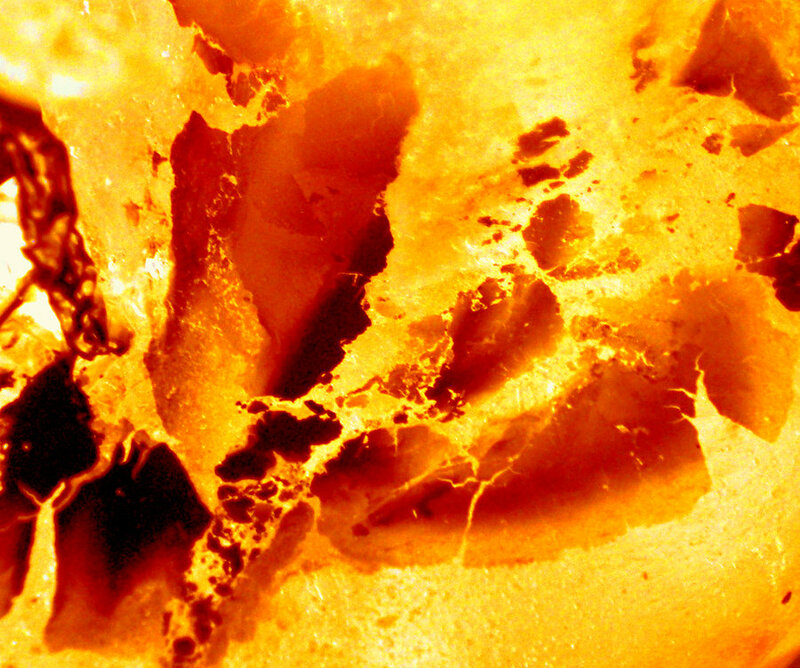 There really is no other way to put it but the phrase “hot mess” — and even that doesn’t give you the full picture. Take the issue of perfume notes, for example. It’s not exactly easy to find out what is in each of the perfumes, as the accounts vary depending on site and source. In fact, the main Arabian Oud site has no description for Kalemat at all. Luckily, I stumbled upon the UK version thanks to the company’s (totally unused) Twitter account. It’s slightly easier to navigate and substantially more informative. Kalemat with its box that opens like a book. Bilberry, anise, rosemary, Kashmir wood, musk, sweet amber, honey leaves. Top notes are blueberry and anise; middle notes are rosemary, cashmere wood and floral notes; base notes are musk, amber and honey. Kalemat opens on my skin with an enormous burst of richness and opulence. Two small squirts from my sample vial led to a heady, billowing cloud of amber infused with a fruity berry note. I’m not generally one for fruity fragrances — and Kalemat isn’t one at its core — but the berry element works wonderfully. If I didn’t know it was “blueberry” or “bilberry” (whatever that is), I would never have guessed it. To me, it smells more like a tangy, tart, juicy touch of black currant, mixed with a hint of blackberry. It’s never cloying or syrupy, though it initially feels as dense as the rest of the perfume. Kalemat’s opening symphony is deepened almost instantly by a touch of honey and musk, resulting in an aroma of a creme caramel whose top has been lightly singed with a cooking torch to create a delicate shell of darkened, caramelized sugar. There is a touch of some fresh, aromatic green herbs, but it’s just a light touch that is soon overtaken by a rich Ta’if-like, ruby rose. Ta’if roses are a type of Damask rose but with 30 petals, and, according to Fragrantica, have an aroma that is significantly richer and deeper than most Damascena varieties. 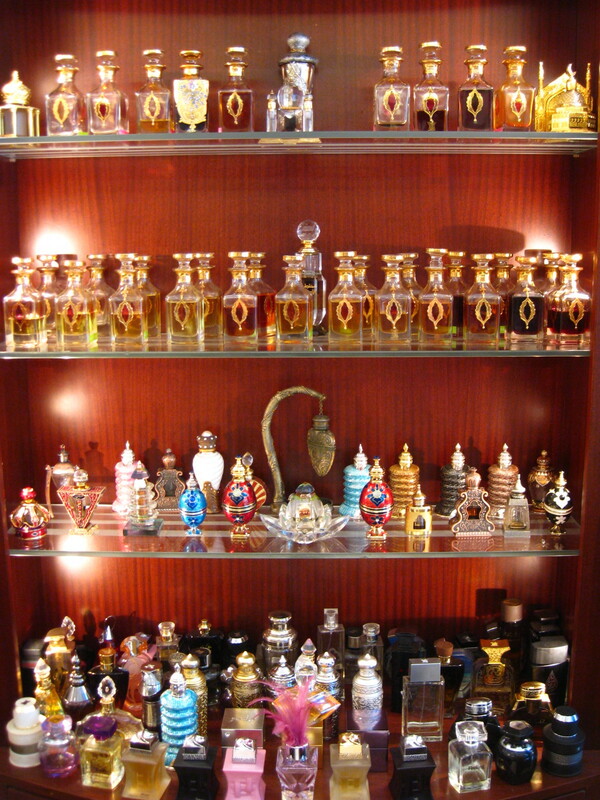 It is very common to Arab perfumery, and to attars in specific. Within a few minutes, the rose note has turned Kalemat into the loveliest, attar-like, opaque, boozy, floral amber with just the lightest hint of honey. 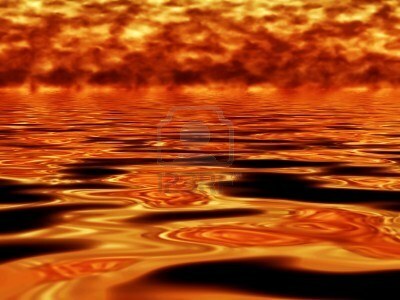 Its richness feels like a running river of molten lava and gold. In fact, my skin actually has a light gleam and sheen from the concentrated oils that make up the fragrance. This is serious stuff. 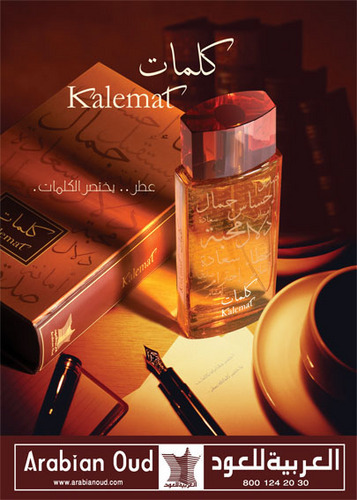 Yet, for all of Kalemat’s richness, I really don’t think it’s ultimately a heavy perfume in terms of its weight. The potent, heady, concentrated, and very narcotic cloud that billows out around one is not unctuous, gooey, or dense in mass. As an analogy, I would say that Kalemat feels less chewy or opaque than some Profumum Roma fragrances, but significantly more powerful in sillage, especially in the first two hours. At the same time, Kalemat is substantially heavier in weight to the LM Parfums line and, once again, stronger in initial projection. In short, it is very typical and representative of traditional Middle Eastern perfumes, and yet airier in feel than something like Amouage‘s concentrated attars. There is a subtle undertone to Kalemat that repeatedly reminds me of Serge Lutens‘ much adored, cult favorite, Chergui, only concentrated by a thousand. Something in Kalemat feels very much like sweet pipe tobacco, even if it’s just a subtle vein running below the perfume’s surface. Tobacco is not listed in Kalemat’s notes, but the reference to “honey leaves” (honey has leaves?) makes me wonder. 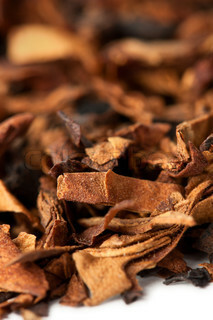 Chergui’s aroma is, in part, of sweetened tobacco leaves set out to dry in the sun. Perhaps that is what Arabian oud means by its term? All I know for certain is that I was walking around Paris one evening, wafting Kalemat, and repeatedly wondering why the fragrance felt so familiar when I suddenly realised: concentrated Chergui! There is much more to Kalemat — and I was reminded of many other fragrances as well, as you will soon see — but I wouldn’t be shocked if there was a bit of some tobacco in Kalemat as well. Kalemat isn’t a twisting, morphing creature with many stages, but it’s not completely linear either. The fragrance does subtly change, but over time and without fanfare. It is such a superbly blended fragrance that it slides almost seamlessly from one stage to another, rippling as smooth as water. In its very first opening hour, Kalemat is an opulently rich, custardy smooth, silky amber that is perfectly blended with fluid swirls of ruby Tai’if rose, dry woodiness, musk, honey, and hints of tobacco, herbs, and berries. There is almost a gourmand feel to the richness of the sweet brew, but it is not an actual gourmand fragrance as a whole. Perhaps a more helpful description would be to say that Kalemat’s opening phase comes close to straddling the Oriental and Gourmand genres, but never fully tips over into the latter. The sweet, opulently over-the-top richness of Kalemat’s first stage explains why some people think the fragrance bears a resemblance to Tom Ford‘s Tobacco Vanille. Judging by what appeared on my skin, I think the two fragrances are different. On me, Tobacco Vanille has a plum pudding feel that is heavily accented with tobacco, and an almost potpourri-like blend of spices. Kalemat lacks those elements, along with the vanilla heart underlying the Tom Ford fragrance. To me, Kalemat seems much closer to Serge Lutens’ Chergui, only without the latter’s touch of powder and, as stated, a substantially more concentrated feel. It’s also much sweeter, deeper, and creamier than the Lutens. To me, in the opening stage, Kalemat bears a closer resemblance to another famous amber fragrance — Hermès‘ Ambre Narguilé — than to the more heavily spiced Tobacco Vanille. If you took certain aspects of Ambre Narguilé, changed the type of fruit to a blueberry, combined it with Chergui, and reduced the overall mix down to a thicker, more dense, almost vicous-like attar, then you’d have Kalemat. I think fans of Guerlain‘s much loved Spiritueuse Double Vanille would adore Kalemat, as it shares some similarities in terms of richness, but with honeyed amber and woodiness as the focus instead of ambered vanilla. Slowly, slowly, almost before you realise it, Kalemat turns softer, woodier and bit darker in visual hue. 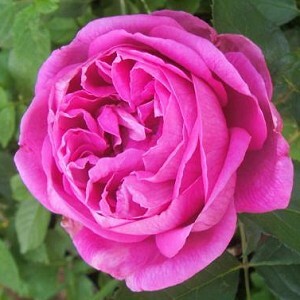 At the start of the third hour, the fragrance is gentler, more rounded, and a bit blurry around the edges. There is something like the most restrained touch of oud flickering just below the surface, along with a gentle, slightly fresh, green herbaceousness. Kalemat has lost more than half of its rose floral undertone, and is less sweet, less honeyed. Now, it slowly begins its second phase where it is primarily a woody amber infused with a whiff of oud, tobacco, musk, and herbs. Only the lightest fruity and floral elements remain, but they’re minor, light, and blended seamlessly into the larger whole. Near the end of the third hour, Kalemat also feels softer in weight and projection, though that is only relative to the powerhouse opening of the first hour. Now, it hovers 2-3 inches above the skin, and is noticeable when you bring your arm near to your nose. It doesn’t announce its presence with quite as much fanfare in the space around you. Honestly, I find Kalemat to be so addictive that this lowered sillage phase always leaves me wanting to spray on more. More, more, more, until I have surrounded myself with a nuclear mushroom cloud. Luckily for me, Kalemat comes in a 100 ml/3.4 oz bottle because I have plans to lock myself in my house on the night that it arrives, insulate all windows and doors, and apply at least 10 sprays. The Mars Rover may be able to smell me in outer space, but I don’t care. Kalemat’s sillage continues to drop, though the perfume gives absolutely no signs of dying anytime soon. Around the 4.5 hour mark, Kalemat hovers just an inch above the skin as a woody, sweet amber. 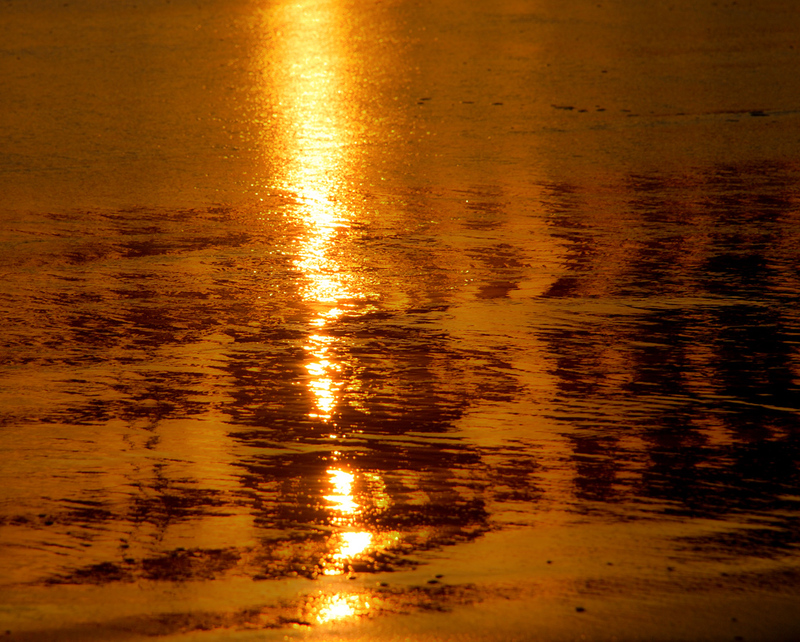 It’s as golden as a cloud, but still much richer than that comparison would imply. Oddly, I’m somewhat reminded of a honeyed, unpowdered, more opulent version of Ambre 114 from Histoires de Parfums. 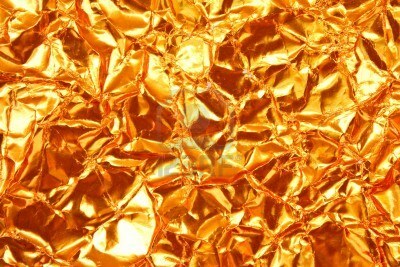 Kalemat has the same sort of golden aura that made Ambre 114 conjure up James Bond’s Goldfinger for me. Yet, for all that visual similarity, Kalemat is now primarily a woody sort of amber. The oud element waxes and wanes in how noticeable it is at the very top layer of the fragrance, but it is always there. Around the 5.5 hour mark, Kalemat is an amber with slightly musky oud, vaguely herbal dryness, an occasional flicker of rose, and a lingering whisper of tobacco. At the 7.5 hour point, Kalemat turns into a complete skin scent. The notes are almost wholly abstract: amber, a blur of sweetened wood that is barely decipherable as something oud-y, and other indistinct, dry elements. In its very final moments, Kalemat is nothing more than lightly sweetened dryness. Kalemat’s longevity is fantastic. With two tiny squirts from the atomizer, Kalemat lasted just a fraction over 12 hours on my perfume-consuming skin, though the sillage was moderate to low for about 7.5 of them. In the past, when I’ve worn Kalemat, I’ve applied a far greater amount, and both the longevity and projection were even higher. On one occasion, I applied 5 sprays (from an atomizer that yields much less than a normal bottle would, due to a small hole), and Kalemat lasted over 16 hours on me. As regular readers to the blog know, my skin is absolutely voracious when it comes to perfume and I struggle constantly to find things that will last. If Kalemat gives me these sorts of hours, I think normal people would get astounding results. I think Kalemat is something that people should try for a number of reasons. First, it is a completely versatile, extremely easy to wear, very cozy, comforting fragrance. It is far too powerful to wear to a really conservative, perfume-phobic office environment, but it works almost everywhere else. Second, I think Kalemat would work wonderfully on both a man and a woman. While men seem to be the ones who talk about it the most on sites like Basenotes, it was a female family member who took one whiff of Kalemat on me, and purchased it ten minutes later. If you’re a woman who likes Tobacco Vanille, Chergui, or Guerlain’s Spiritueuse Double Vanille (and there are vast numbers of you who do), then you can absolutely wear Kalemat. Third, Kalemat has the quality and richness of some incredibly expensive, very high-end perfumes. Kalemat is not comparable just to the prestige lines of such brands as Hermès, Guerlain, or Tom Ford, but also to such luxury perfume houses as Amouage. In fact, I’ve heard that some people think that Kalemat is very similar to Amouage’s Interlude Man, due to I think its second stage as a woody, slightly oud-y fragrance. I’m not sure I’m really qualified to speak to that, because, on my skin, Interlude Man was such a shape-shifter that it manifested itself differently on each of the 3 occasions that I tested it. It is such a complex chameleon that I could probably wear it 10 times, and experience 10 different versions. However, judging by the three types I encountered, I think Amouage’s Interlude is different. Its herbal start can be enormously dominant, and sometimes aggressively pungent. Kalemat is hardly a herbal fragrance during any of its stages, and has only a little green touch in the background. With Interlude, its sharp greenness is then followed by a significant incense, smoky period, before ending in a stunning sandalwood drydown. Kalemat is substantially less complex. In addition, whatever smokiness it has is extremely subtle and seems merely to be the effect of other notes, instead of actual frankincense, let alone a lot of it! There are other differences, too. Kalemat is more floral and fruited at the start; the oud is extremely mild; it has no sandalwood; but it does include some honey. I would say that all the individual elements are toned down more, and that the overall effect is substantially smoother. 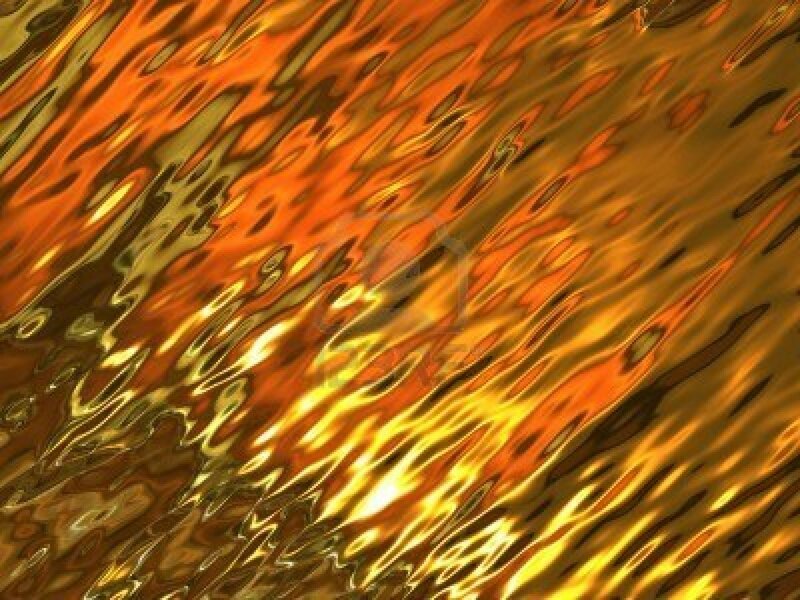 The elements also blend into each other more seamlessly. Yet, it does share the luxurious feel and richness of an Amouage fragrance. When you consider that you can buy 100 ml of Kalemat on Amazon at a discounted price of $59.99 (without shipping), versus the $290 retail price of Interlude Man, I honestly don’t know how you can beat this amount of richness, depth, body, and addictive opulence for the price. The only drawback I can see to Kalemat is that the company simply does not make it easy for consumers new to the brand. I’m going to spend a bit of time on this issue because I think it’s important to understand what your retail options are, some of the practical difficulties in learning more about the line, and the reason why Arabian Oud may be a brand you’ve rarely heard discussed. I truly think that Western perfumistas are missing out in not trying some of the company’s amazing fragrances, and that easier, more straightforward access would make them a name on everyone’s lips. As it is, however, it’s an extremely frustrating situation. In addition to Arabian Oud’s aforementioned disorganisational chaos on its website, there is no place where you can test it or sniff the perfumes outside of London, Paris, or Arabian Oud’s several hundred stores in the Middle East. The decant/sample site, Surrender to Chance, does not carry Arabian Oud. The Perfume Court offers a few of its fragrances, but not Kalemat. And Arabian Oud does not sell samples on its website. In fact, trying to navigate Arabian Oud’s websites consistently makes me want to throw something at the monitor. The main Saudi version is in English, but it’s a hodge-podge of categories, it doesn’t list perfume notes in a particular perfume entry, and the similarity between some perfume names is confusing. The fact that “Mukallet” seems to be the term for an attar or perfume oil that is stuck on half the perfumes doesn’t help. The real problem, however, is sheer, overwhelming quantity of selection. According to Fragrantica’s page for Arabian Oud, Kalemat is one of 160 fragrances (!!!!!) offered by the house. The fact that that long Fragrantica listing does not include three of my favorite Arabian Oud fragrances should tell you just how many fragrances we’re talking about. Fragrantica also says that the 160 perfumes were “all launched in 2012” — something which is not only highly unlikely, but also inaccurate. The 2012 mistake (along with Fragrantica’s description of the company as a “new” one) is undoubtedly yet another victim of Arabian Oud’s utterly disorganized state of affairs. While the Saudi site provides no details, the London version says the company’s history actually goes back to 1982 when it was founded by Sheikh Abdul-Aziz Al Jasser who opened his first store in the old Alzal souk of Riyadh, Saudi Arabia. It is a testament to the quality of Arabian Oud’s products that Kalemat was actually not my favorite of the things that I tried. One of them, a perfume attar called Taj Mahal blew me out of the water. It is one of the most spectacular florientals I’ve tried in years, surpassing any and all Amouages (including Fate Woman) in its lush, deep, opulent beauty. Based on my memory of it, it was an orange blossom, jasmine, rose, sandalwood oriental oil that almost glowed in its rich sheen on my skin, and which cost (at its lowest, most affordable price) about €60 or $80 for a few drops. (Something like 4 ml. Its price on Zahras, the American-based website for Middle Eastern perfumes, is inflated to a ridiculous $371 for a tiny 6 ml bottle!) If I’d encountered Taj Mahal at the start of my trip, and had time to test it out properly on my skin, I would have bought that small vial without a qualm. As it was, I went to Arabian Oud on the last day of my holiday, after having purchased many other fragrances, and while wearing too many scents for a proper test, so the situation didn’t quite work out. The high price also made a mere sample impossible to obtain. Thankfully for my fourth favorite, and the subject of this review, Kalamet is easily available not only on all the Arabian Oud company websites, but also on Amazon (U.S.). Arabian Oud is the actual vendor and seems to have discounted the listed retail price of $99.99 by 40%, selling the 100 ml bottle of eau de parfum (really more like pure parfum extrait, if you ask me!) for an incredibly low price of $59.99. There is a shipping cost of $16.48 for a total of $76.47, but I paid no tax, and the final price is still substantially lower per ml for any analogous pure parfum extrait of that quality. You’re essentially paying about .76 cents per ml, when Amouage’s stunning Tribute attar is available from decanting sites for $14.99 for a 1/4 ml! Granted, the two fragrances have substantial differences in notes, smell, ingredients and concentration, but still! Helping matters further, Arabian Oud’s Amazon shipping (from Saudi Arabia?) seems to be both fast and extremely professional. The company’s Amazon rating is 4.8 stars out of 5 with 48 votes, and consistently positive praise from buyers. A friend of mine purchased Kalemat blindly on the basis of my passing raves about it, and he was extremely pleased with the speed of the delivery, the packaging of his bottle, and Arabian Oud’s polite service. Another reader of this blog, “Laird Angus,” bought Kalemat blindly and his gushing review on Amazon talks about both the perfume’s original packaging, and the beauty of its smell. It’s an extremely accurate assessment and the best one I’ve seen on the scent, so I’d like to quote a large part of it. In ancient times, books were rare and precious objects. The learned elite treasured them. Scholars and holy men spent countless hours transcribing and illustrating them. Calligraphy held a place at the high table of the arts. Kalemat, which means “words” in Arabic, pays tribute to this lost era in its exquisite packaging. It arrives in a beautiful oversized box designed to look like an antique arabic book. When opened, the box reveals a smaller, ribbon-bound tome which contains the bottle of perfume itself. And so even before the first spray, you know that this an oriental perfume in its full glory–dramatic, confident, mysterious, exotic, precious beyond compare. Inside Kalemat’s “book.” Photo via eBay. The juice itself does not disappoint. Kalemat opens with a lush jammy berry accord, balanced perfectly by incense and a hint of dry woods. The berry note is apparently bilberry, which was new to me. It is sweet and perhaps slightly tart. Wonderful. Novel. After 20 minutes or so, the berry notes recede, leaving behind a sumptuous base of incense, woods, and lightly jammy rose. This is the heart of Kalemat, and it is apparently inspired by the Middle Eastern hospitality traditions around bakhoor, a household incense of dried wood and rose. It reminded me somewhat of Jubilation XXV by Amouage, but Kalemat is somehow deeper and rounder. There are no jagged edges here. Although it is not listed in the ingredients or the notes, I am convinced that there is a trace of high quality synthetic oud in this as well. It is used here not as an individual note, but as a fixative and an amplifier of the other notes. Perfect! Over the next 8-10 hours, the rose fades out, then the incense, leaving only the driest cedar-like scent, like the inside of an ancient chest found in an old Cairo apartment. I would hardly go so far as to say Kalemat speaks to eternal truths, but, yes, it is an absolutely gorgeous amber that is opulent, heady, full-bodied, and deeply comforting. That is why I will go to so far as to say that you should definitely consider a blind buy of Kalemat if (but only if) you’re a huge fan of any of the perfumes that I’ve mentioned in this review. If you love wispy, gauzy, sheer, light, fresh, clean scents, Kalemat is not for you. This is a fragrance for a die-hard lover of amber, oriental or oriental-gourmand fragrances, and I don’t think you will be disappointed. You should consider a blind buy even more if some of those other fragrances I’ve mentioned have been out of your reach due to their high cost. I can’t recall if I have ever recommended that people buy a perfume blindly and untested, but Kalemat’s price is low enough that I’m breaking my usual rule. If you absolutely hate it or if your skin chemistry inexplicably makes things go wonky, I don’t think you’d have much difficulty in selling your bottle on eBay, where Kalemat is usually listed for almost double the Amazon price and rarely offered by US sellers. For all other countries, you may can use the Universal Perfumes retailer in Kuwait that I introduced to you months ago, and which is very reliable. It sells Kalemat for $99, with a flat-rate, international shipping price of $6.99 for the first item. I’ve heard it takes about two weeks for its packages to come from Kuwait to the States, so I assume it will be around the same for other destinations. Lastly, you can always try eBay which has a number of British and Middle Eastern sellers who offer the fragrance. At the end of the day, Kalemat is not a revolutionary, complicated, complex scent, but it is such an utterly addictive, luxurious, rich, comforting, soothing one, that I find it utterly irresistible. If you hear a bellow of joy on or around November 8th, you will know that my perfume package has arrived, that irrational amounts of spraying will follow, and that a golden mushroom cloud of amber will explode shortly thereafter from this part of the Western hemisphere. I cannot wait. This entry was posted in Ambers, Smoke or Spice, Arabian Oud, Fragrances, Orientals, Perfume Review and tagged Arabian Oud, Arabian Oud Kalemat, Kalamat, Kalamet, Kalemat, Kalemat Arabian Oud, Kalemat perfume review, perfume review by Kafkaesque. Bookmark the permalink. Not to be too stupid, but what is the other oil which is included? I got an elaborate silver building like case with an oil inside. I’m not sure what it is. Is this the oud which should be layered? It’s not a stupid question at all, especially as there is no name on the box of the other item. I don’t know what it’s called, but it’s something completely separate and different, an attar or perfume oil that is very soapy, rose-centered, and, to my nose, painfully synthetic. Something about it gives me a headache. Probably the white musk, though there are a lot of aldehydes as well, giving it a very soapy characteristic. I’m not a fan of it, though I think it’s lovely that they threw in a freebie in such a pretty vial. Musky Dream is the perfect olfactive creation to represent the scent of white musks. Its floral aldehydic aspects express the delicate purity of the musks while the musky and vanilla notes in the bottom translate the warm and comforting side of the musks…a perfect dream! However I thank you for the above report, and if you need any further information about the company or the products please feel free to communicate with me. Hello there, and welcome, Mr. Ezzat. 🙂 I don’t think anyone is confusing items with those from another company, as we’re talking about the free silver vial sent by Arabian Oud with a purchase of Kalemat. Thank you so much for the information on White Musk (or is it “Musky Dream”? ), and for the description. That’s incredibly helpful, especially as there is no name to go along with the fragrance, and nothing listed on the box. I’m grateful. I also appreciate the offer to help out with information because I’ve been trying very hard to contact Arabian Oud, and have written a few times, as well as tried to reach out via Twitter. I haven’t had much success, until I finally was connected to someone in your London boutique. I will definitely take you up on your offer to write to you, as I would like some help in obtaining or buying samples of more of your fragrance, so that I could review them. The London office may not have the easiest time in shipping things out to the U.S. I will write to you. Thank you again. Anytime, Yes I think you might be talking about the Kalemat Musk oil. Kafka, if you ever find a reliable source for samples of these, I’d appreciate it if you’d let me know. I’ve been in contact with Safia at Zahras and winging around the internet and it IS confusing. I just want to sample Kalemat and Taj Mahal. As per Safia, Zahras does not have Taj Mahal any longer, but she can send me a sample of Kalemat. I’m just not sure if they one they carry is the one I actually want. I will, I promise. If I didn’t have such a total phobia about the post office and if I didn’t dread going to it to the point of anxiety, I would send you some. I’ll see if I can work up some nerve for the whole decanting, mailing process, but I wouldn’t hold my breath, unfortunately. I’m sorry. As for Taj Mahal, it seems wholly discontinued from the official sites, so it may not be worth the frustration of trying to find a sample of it. Oh good grief, no…. don’t go to the post office! Ack! I feel the same way. I appreciate that you even thought of it, so thanks. I realized after pinging emails back and forth to Safia (Zahras) that I’d forgotten my middle eastern etiquette and my polite refusal to list other samples I wanted were met with increased fervor to send them. Anyway, she wants to send me 4 samples plus Kalemat for $15 including shipping. I am now cringing in the corner as I actually don’t want 4 samples of who knows what. She mentioned Surrati. So, in case you get any other inquiries, that may be helpful. The sample offer is on the Zahras website, but what is available and prices are not specified. Yes, another reader commented (wayyyyyyyyyyyyyy back when) about the Zahra’s sample deal and how it was $15. The thing is, I don’t trust Zahra’s one bit when it comes to the notes they list or what may be in a fragrance. I think it’s a great opportunity *IF* one already knows what one wants to try, but otherwise, it’s problematic. In your case, I think it’s a great opportunity. If you like orange blossoms and florals, try Ghroob. I may be getting a few samples of things from Arabian Oud sometime in the next few weeks, but I don’t know what precisely is being sent. I’m looking forward to trying more things from the line, though. Thanks. Ghroob is on my list.